"Anarene, Texas, 1951. 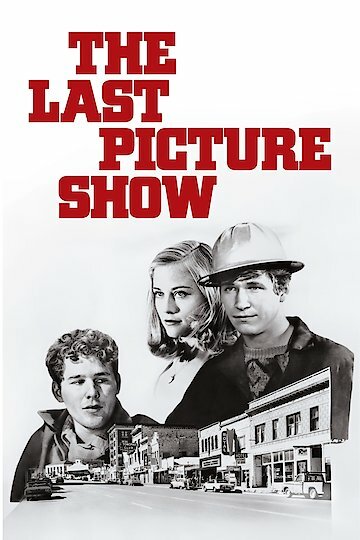 Nothing much has changedâ€¦"
The Last Picture Show is a film starring Jeff Bridges as Duane, Cybill Shepherd as Jacy, Timothy Bottoms as Sonny, and Ben Johnson as Sam the Lion. Duane, Jacy, and Sonny are seniors living in a small town in the state of Texas. Sam the Lion is an entrepreneur who owns a pool hall and picture show. The film explores the relationships of each character during the year. Duane and Jacy lose their virginities to each other. Sonny breaks up with his longtime girlfriend and begins a relationship with an older woman, Ruth, who is married to the town football coach. It is revealed that Jacy only lost her virginity to Duane so she could be with one of her mother’s friends. After the breakup, Duane leaves the town and joins the army. Sonny’s relationship with Ruth becomes estranged and he eventually leaves her for Jacy. The two leave the town and get married in New Mexico. However, Jacy’s mother tracks them down and takes Sonny back to town telling him he is not fit to marry Jacy. After returning to the town, Sonny resumes his relationship with Ruth. In the film, the town is portrayed as run down, abandoned, and dirty. The picture show is one of the only forms of entertainment for the town citizens. Sam the Lion is seen as a guardian towards the young teenagers, especially towards a mute boy named Billy who sweeps the streets on a daily basis. When Sonny and Duane take a trip down to Mexico, they return to find that Sam the Lion has died. Sonny tries to keep the pool hall and the picture show going, but the businesses eventually shut down near the film’s end. Sonny witnesses the unfortunate accident of Billy getting killed by a hit and run driver. As the film closes, the town appears to be on the verge of collapse with all of Sam’s businesses shut down. The death of Billy eliminates Sam’s legacy he left in the town. The Last Picture Show is currently available to watch and stream, buy on demand at Amazon, Vudu, iTunes online.